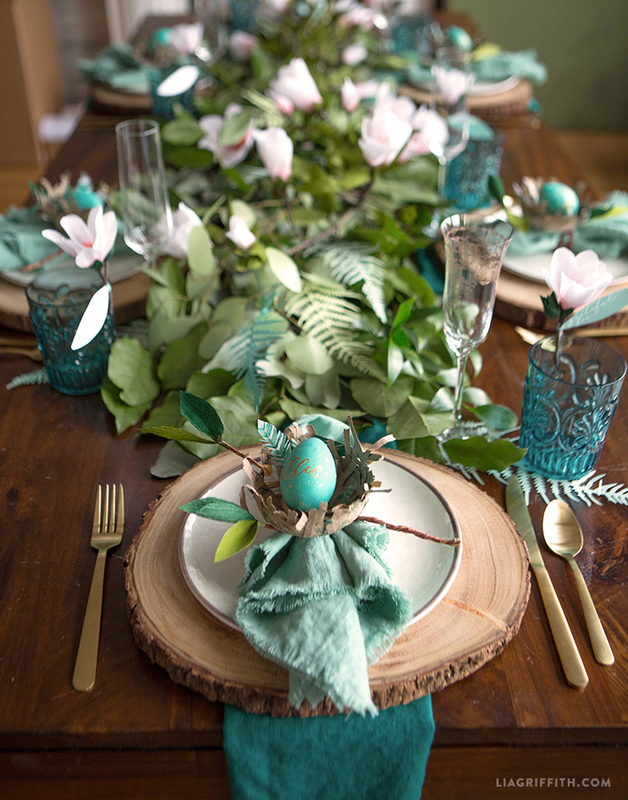 Watch our Easter Brunch table setting on The Today Show in the video below! Easter usually means delicious brunch spreads and happy bursts of color that welcome spring. It’s one of my favorite holidays because it is a wonderful chance to spend some time with loved ones. 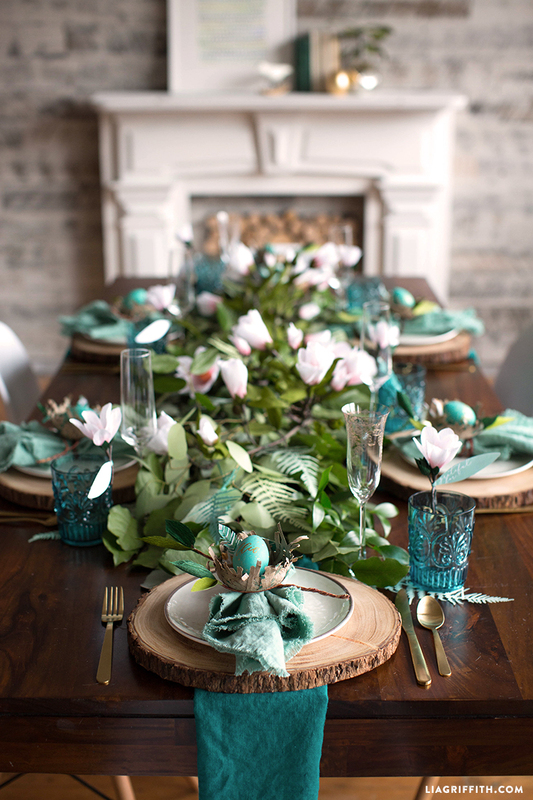 We always arrange an Easter Brunch table setting for the occasion, and this year we tried to combine all of the best elements of the season to create a gorgeous display. When you think about traditional Easter color palettes, soft pinks, light yellows and baby blues are probably what come to mind. Rather than design our Easter brunch table with pastels as the main feature, we wanted to create a look that felt a bit fresher – something that could be a real celebration of the blooms that are popping up this spring. 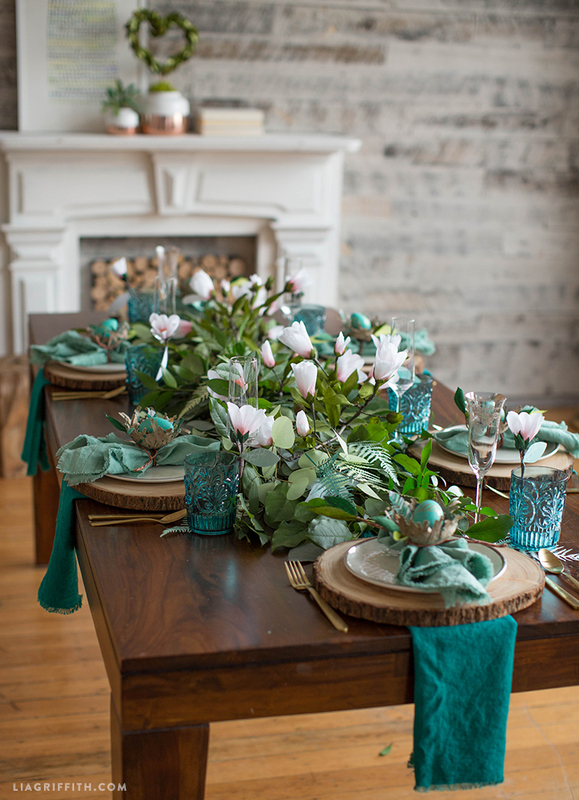 A major inspiration for our table setting was Greenery, Pantone’s Color of the Year. Once we decided on a botanical color palette, we elevated the monochromatic green tones with pops of blush pink in our centerpiece and gold metallic accents at the individual place settings. After choosing our theme and color palette, we began planning the design by starting with the centerpiece. The goal was to create something lush and bountiful. We headed down to our local flower wholesaler, Portland Flower Market, and picked out a beautiful variety of greens to put together a sprawling fresh greenery table runner. Find our techniques for building your own DIY greenery table runner if you want to incorporate this look into your spring dinner parties. After making the table runner, we wove in our crepe paper magnolia branches, which provided a gorgeous soft pink color in the mix. 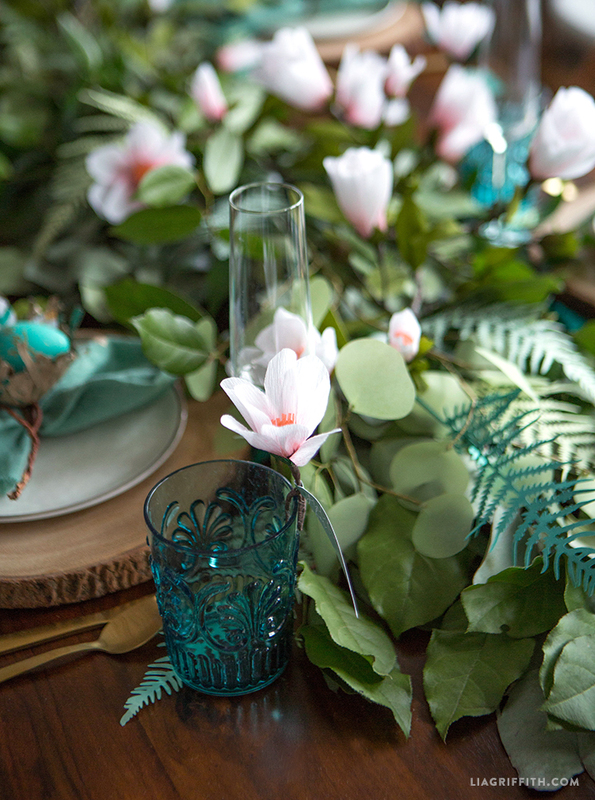 Our final touch to the centerpiece in our Easter brunch table setting was to add in some paper ferns for even more texture and depth. 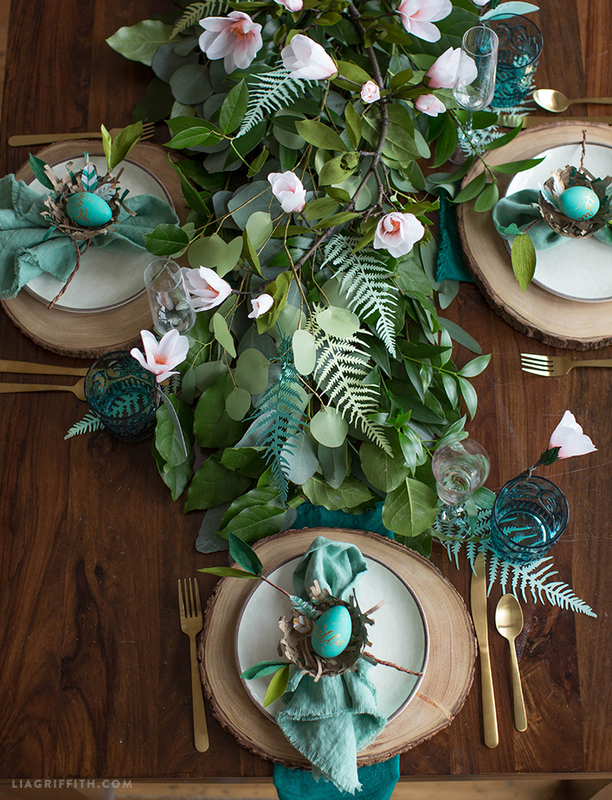 Take a look at this post for tips on how to use paper ferns in your spring table styling. 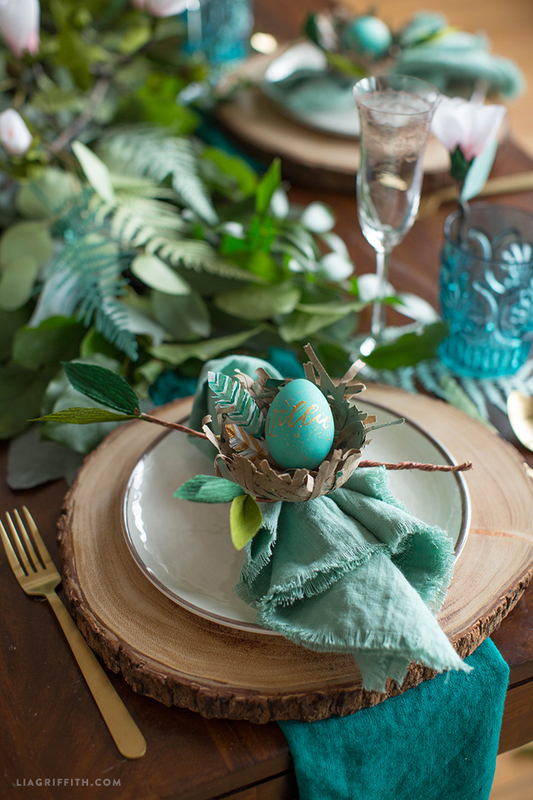 To give our Easter Brunch table a rustic, woodsy element, we decided to leave out a table cloth and let the wood from our table become a part of the design. We started building the individual place settings with linens. Because we were not using a table cloth, we added in two linen accents to give our color palette some depth: one folded linen under each charger, and a frayed linen napkin on top of each setting. Making your own frayed linen napkins is super easy, and you can find our photo tutorial to make them here. We found those fabulous wooden bark chargers at World Market, and then topped them with simple plates from Pottery Barn and gold flatware from Target. 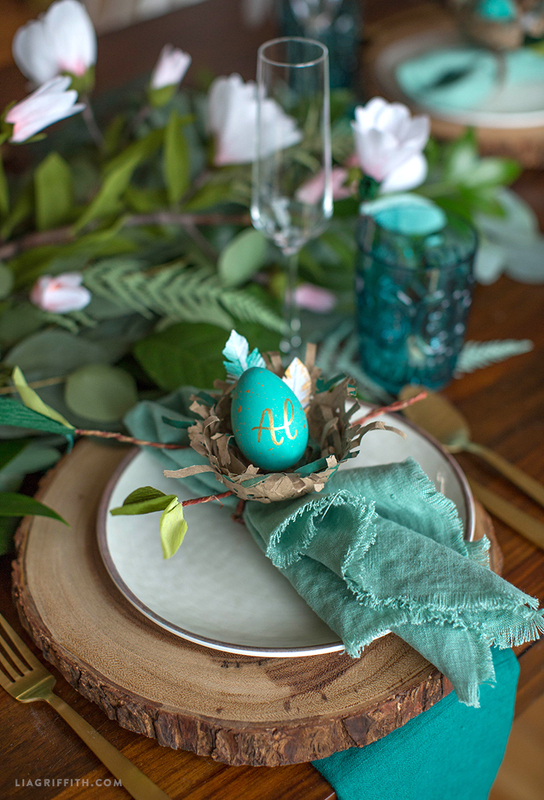 While the rest of our table setting can be fitting for any beautiful spring dinner party, we took the opportunity to play up the Easter theme with our place cards. 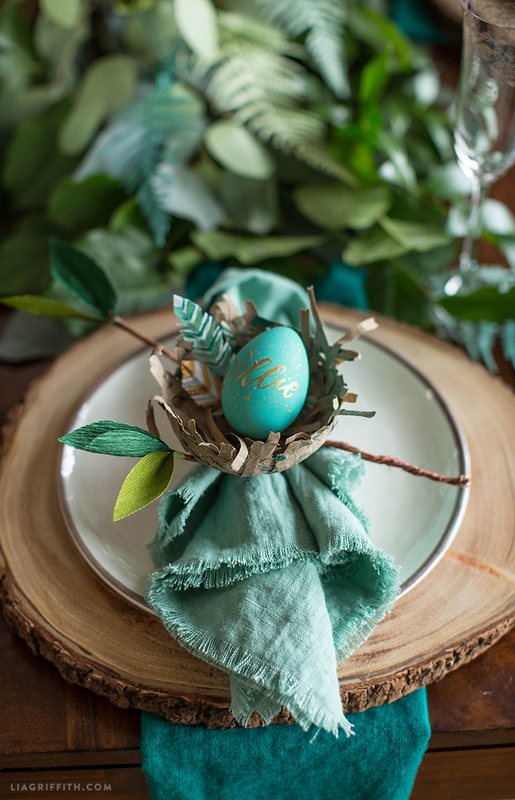 Instead of just writing names onto rectangular cards, we made shredded paper nests and filled them with painted tissue feathers and eggs with calligraphy names on them. We love how elegantly they turned out, and they were actually pretty quick to make! 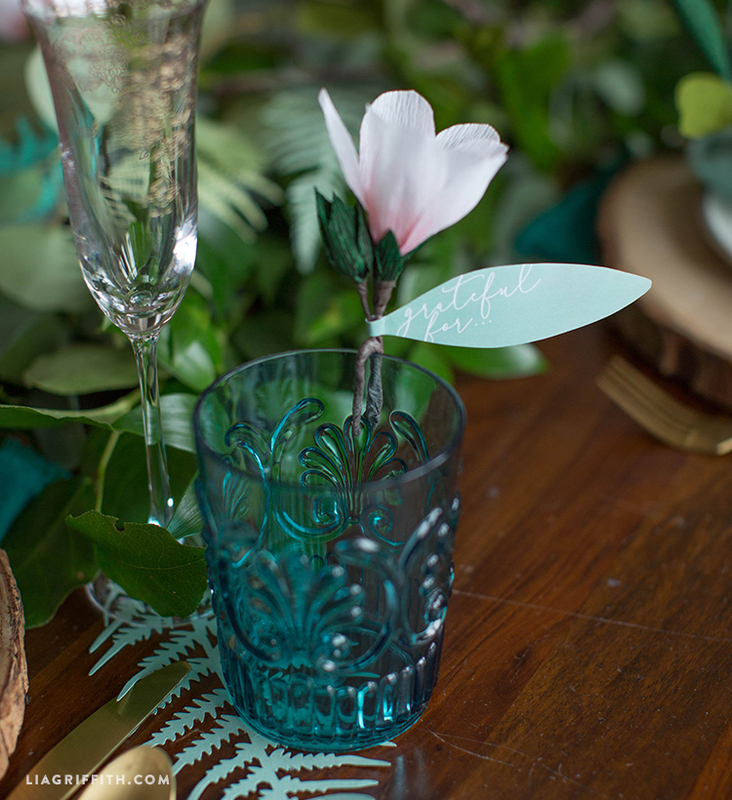 The last part of our place settings were the teal drinking cups from World Market, which broadened the blue undertones of our color palette. Lia, Where did you purchase your linen fabric? Lovvveee…. the table! I saw you on the TODAY Show. Good job! Lia, you are great in this presentation looking so vivid, natural and welcoming! Thank you for everything you do and best luck to you in all your aspirations! 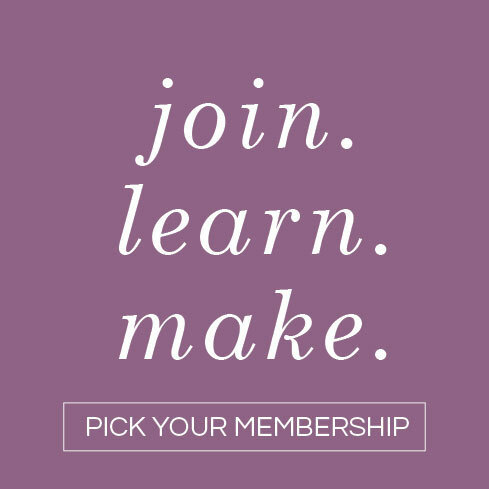 Hi Lia, I downloaded the carrot svg, converted it to fcm and cut it out. All the lines were cut lines and no dash lines.I did group it but had many pieces. I am not sure that I know how to put in the dash lines. Could you help me? 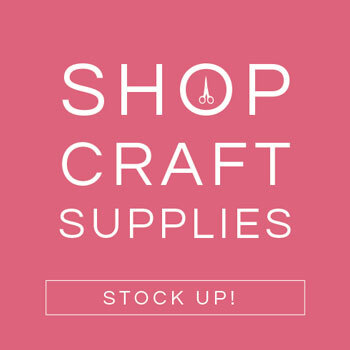 Hi Gail, I’m only familiar with the Design Space software for Cricut, where there’s an option to change the cut lines to a score. I think the Brother brand machines take FCM files which might be what you’re using? 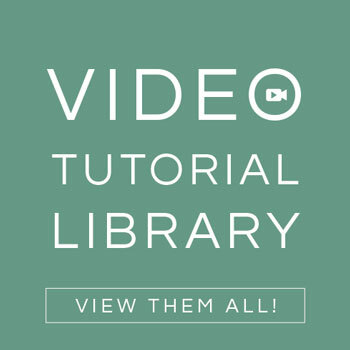 If so, look on YouTube for tutorials how to change cut to score, there should be something there to help! I love this table idea! Thank you, thank you, thank you for posting it on your page. I was sorry to miss the Today episode this morning–I’m sure it was great. Thank you for your never ending inspiration.